If you have ever been involved in website development, you have the first hand knowledge of how versatile and rich the contemporary web design niche is. When analyzing the existing web design systems from the point of view of simplicity and functionality, it makes sense to highlight two popular niche representatives – Wix and WordPress. Wix – is the most renowned website builder providing lots of one-of-a-kind features and tools. The system encompases all-in-one solutions that cover a wide spectrum of users’ website development endeavours. Advanced editing options, blogging and eCommerce engines, mobile-ready templates and affordable pricing policy have made the website builder a distinctive and undeniable leader of the modern web design market. WordPress – is the most popular Content Management System with a powerful blogging platform. The service is a decent choice for the development of all types of projects, the completion of which becomes possible due to extensive integration options. The system abounds in design customization tools and requires certain programming background to be used to the advantage. 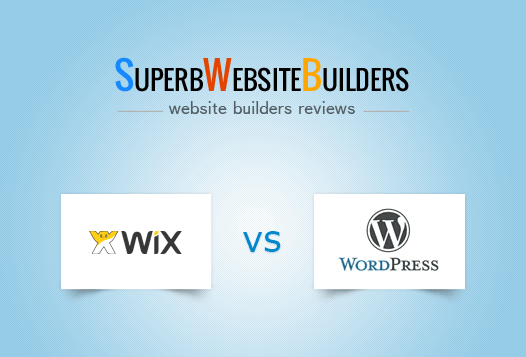 Ever since the launch of Wix there have been many debates on whether the site builder is better than WordPress. There are camps on both sides of the fence, each trying to prove that their choice is the best. Here, at SWB, we believe that there are no clear winners and losers, because without specifying the user market and intended purposes, recommending anything is simply pointless. In our WordPress vs Wix review we’re going to cover the benefits and downsides of each platform in simple terms, so that you can see that both Wix and WordPress are favorable options, but for different purposes. We’ll try to keep technicalities to a minimum and focus on unique features of each platform. Wix. Wix has a visual, intuitive and user-friendly interface where you’ll be doing a lot of dragging, dropping and clicking. The website builder delivers exceptional WYSIWYG web building experience due to the application of drag-and-drop editing feature. It makes the entire web design and publication process quick and painless, even if you have no idea about how websites are being made. The thing is that the system is comprised of two areas – the Dashboard, where you adjust the required website parameters, and the Editor, where you work on your project development. The forte of Wix is that it keeps things extremely easy regardless of the website creation stage you are in: whether you’re creating an account, adding a new blog post, changing the background on the homepage or connecting a custom domain – everything can be done with just a few clicks, thanks to the visual interface of Wix. It generally takes around several hours to master the website builder, even if you don’t have any preliminary web design experience. WordPress. Despite being the easiest open source CMS available, WordPress isn’t the easiest web publishing solution. It’s much more difficult to use than Wix, mainly because it doesn’t provide that streamlined workflow: with Wix you get everything (templates, hosting, widgets and more) with a single online account, and with WordPress you only get a CMS, so there’s definitely a steep learning curve for a beginner. It should also be mentioned that the functionality of the system will mainly be influenced by the depth of website customization, the amount of tools used and the need of plugin integration. However, the recent system update has simplified the web design approach due to the replacement of the standard HTML/text editor with the Gutenberg editor, which is block-based and easier-to-manage. This has made WordPress web design approach similar to that used in visual editors of classic website builders. Wix vs WordPress. If you know how to use a mouse, you can certainly build a site with Wix: it’s easy, intuitive, fun and requires no training. With WordPress, at least a basic knowledge of HTML/CSS is required. Wix. Wix is a versatile site builder that comes with a variety of features, blogging and eCommerce support options, powerful integration solutions, website management and promotion options. Among the features that make the system stand out from the crowd, it makes sense to initially mention its website editing options. Currently, Wix offers the advanced ADI tool and standard website editor. Wix ADI (Artificial Design Intelligence) is the first technological platform in the world, which encompasses website design and content creation with AI. This allows launching full-featured websites in a couple of minutes. The technology lets small businesses create web pages simpler and quicker than ever without the need to know coding, structure or design. Everything an owner will have to do is to answer a few questions about the company and select the most suitable design variants. If you feel that you are ready to cope with website creation independently, then you can pick the standard editor to manually give your project required design and performance. Fortunately, the website builder is quite understandable and easy-to-use. It won’t be a problem to master the web design process even for first-time users. By the way, the service comes with a mobile editor that lets you create and edit the mobile version of your website any time you need that. The edits made in the mobile mode are not displayed in the desktop version. Wix also offers multiple extensions that you can integrate into your website – the website builder has a collection of various free and paid add-ons called App Market. Here are some examples: Holiday badges (free), Comments (free/premium), Events Calendar (free/premium), Live Chat Room (free/premium), Customer reviews (free/premium) and more. These applications are as easy to install and manage as the builder itself. Some are developed by Wix, others are provided by third-party developers. If you are planning to start a web store, Wix will let you do that with ease by using the benefits of its powerful eCommerce engine. The system works well for the development of small and mid-sized online stores with excellent performance. 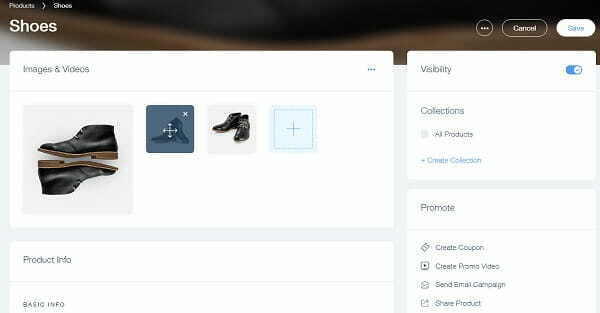 You’ll be able to set up payment and shipping details, create product galleries and adjust their parameters, generate coupon codes etc. Wix also has a decent blogging platform, which lets you effectively publish and update posts, schedule publication time, create a Featured Posts section, enable Facebook comments, blog archive, tag clouds, adjust SEO settings etc. Likewise, you’ll be able to create and manage a forum with the website builder to further add it to your project. Another highlight of the website builder is its powerful Wix Turbo feature. This is a set of tools and technologies, application of which contributes to the decrease of website load time. This is achieved by means of browser rendering time optimization that does not affect the project functionality. For those users, who choose Wix as a business promotion tool, the website builder has recently introduced the advanced Wix Ascend feature. This is the all-in-one solution for effective business website development and management, which encompasses the most popular and widely-used business-focused tools in a single dashboard. As of today, the number of tools available in Wix Ascend, exceeds 20 products. For user convenience and ease of use, they are divided into groups with regard to the purposes they might be used for. These include marketing tools, website promotion and management tools, customer interaction tools and more. Finally, the system makes it possible to create your own applications by using the advantages provided by Wix Code. This is a modern web app builder that simplifies application development process, eliminating the need to use coding skills. WordPress. WordPress started as a blogging platform, but quickly developed from this single purpose and became a versatile program for creating various websites, from portfolios to webstores. This is possible thanks to numerous plugins, which can add any kind of functionality to your site. There are social plugins, commenting systems, SEO packs, safety plugins and much more. As far as WordPress requires regular updates, there is a need to deactivate the plugins and all the third-party extensions you’ve integrated to prevent the potential mistakes and system malfunctions. When using WordPress, you’ll also have to take care of domain name choice and hosting installation. Due to the fact that the CMS has gained worldwide popularity, many hosts offer special plans optimized for this very platform. That’s very convenient and time-saving, although, you can also go for any other standard hosting of your choice. When choosing WordPress as the web building tool, you should realize that rich integration options of the system require the awareness of programming knowledge. 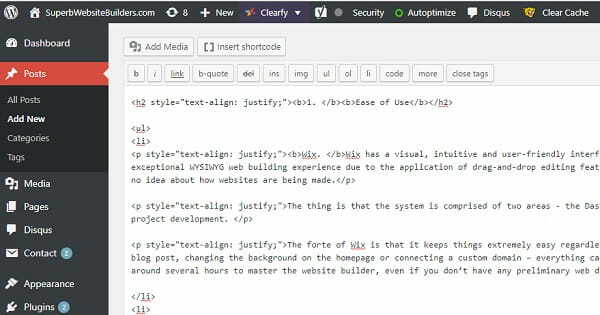 If you have good command of CSS and PHP, then you’ll be able to effectively use the skills working with the integrated WordPress code editor. This is how you can deeply customize the project, adding content blocks, widgets etc. The recent WordPress update, however, has unveiled extensive opportunities for non-tech savvy users. Introduction of the advanced Gutenberg block editor has made it possible to decrease the need for code editing. This is a visual editor that offers full-featured content blocks that can be installed into your website instead of plugins. Among the blocks you can pick, it makes sense to mention Title, Paragraph, List, Image, Audio, Video, Gallery, Layout Code and Elements, Widgets and Add-Ons of popular services. There is an opportunity to set up and customize each block separately instead of fighting with complex widget codes. 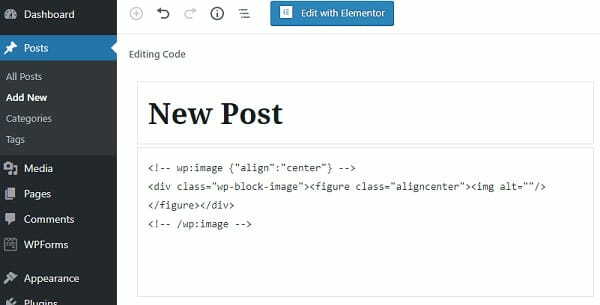 Introduction of the Gutenberg editor has made WordPress similar to standard website builders that initially focus on content presentation rather than on time-taking and complex adjustment of configuration settings. Do you still give preference to the traditional HTML/Text WordPress editor? That’s not a problem – just reach the new Classic Editor extension available in the list of plugins and add it to the system. This will automatically deactivate Gutenberg Editor, giving access to the standard website editor you have got used to. Wix vs WordPress. Balancing ease of use with complexity is difficult, so usually, the easier the tool, the less flexible it is. But this rule doesn’t apply to Wix. Today, Wix gives you near-perfect combination of flexibility and ease-of-use that is harder to reach with using WordPress CMS. The website builder has become the all-in-one solution covering an impressive versatility of web design needs. The feature set it offers can easily withstand niche competition. The updated version of WordPress, however, has granted access to the Gutenberg Editor that reduces the need for code editing, offering multiple customizable content blocks instead. Even though, this has simplified the process of working with the CMS, it still cannot be a decent competitor to Wix in terms of functionality and feature set. Wix. The website builders lets you choose from over 550 high quality, fully-customizable templates in more than 70 niche categories. There are also one-page templates (landing pages) and blank templates that define your future site’s structure but have no content in them. All the templates are optimized for mobile viewing, which has positive impact upon the search engine ranking. The Mobile Editor the system offers makes it possible to alter the mobile look of your website without changing the desktop mode. All the edits you make in the mobile regime won’t be displayed in the desktop version, while the changes you make in the desktop mode will be automatically reflected in the mobile version. That’s quite convenient for website owners, who mostly target users browsing websites from their mobile devices. 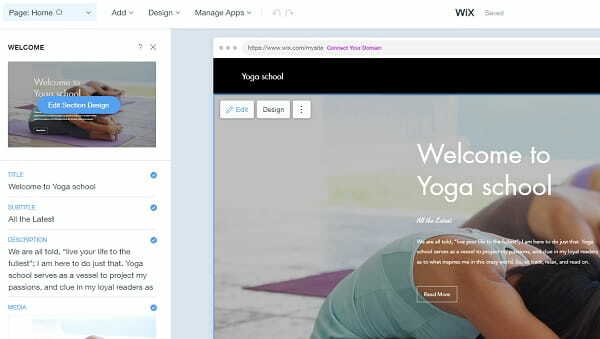 Wix templates are undoubtedly beautiful, but there’s a significant drawback – users can’t switch templates midway through the editing process. This is explained by the absolute positioning feature the website builder is known for. WordPress. There are two places to find WordPress themes: the WordPress theme directory, which is the biggest and the most official place to get a template, and independent marketplaces and theme shops. There are free and paid themes. If you wish, you can switch the templates during the web design process, but mind the compatibility aspect. Recent introduction of the Gutenberg Editor has resulted in the incompatibility of certain free templates. This means that they may work with errors, preventing you from reaching the goals. Realizing the problem, WordPress developers have additionally offered a new Twenty Nineteen theme that works great for all types of websites created with the Gutenberg Editor. When choosing between WordPress templates, do not forget to make sure they are compatible with the version of the system you are using. Keep in mind that each WordPress theme you will pick comes with individual settings. This makes it possible for you to change the color scheme of the selected design, upload website logo, enable/disable the display of certain widgets, create main menu etc. The better coding skills you have – the deeper the design customization options will prove to be. Wix vs WordPress. You can customize Wix’s themes in a WYSIWYG editing environment, but with WordPress, what you see is often not what you get – without having at least a basic knowledge of HTML/CSS, it will be almost impossible to get the desired look. The design customization process, however, has become somewhat simplified after the implementation of the Gutenberg Editor. However, it still takes time to master it and launch decent projects with the system. Thus, Wix is the leader in this part of the comparison as well. Wix. Wix has a massive support center. There are around 300,000 topics posted in the official support forum, hundreds of video tutorials and walkthroughs and email support. There are many prompts in the editor itself – nearly every editable element in the control panel comes with a help icon – just click it for more information. An impressive FAQ section contains answers to the most popular and widely-asked questions users are interested in. WordPress. You’ll have no trouble finding WordPress experts – there’s a huge community of webmasters specializing in WordPress. But there’s no official support service here. Apart from interacting with an extensive user community, it is possible to come across multiple tutorials, manuals and videos guidelines on how to work with the system. However, it still takes effort and time to learn all the intricacies of the CMS and solve the problems you encounter during the web design process. Obviously, inexperienced users frequently face complicated situations and lose precious time trying to solve them on their own or consulting the experts. WordPress vs Wix. WordPress is widely used; you’ll find hundreds of blogs, communities and YouTube channels dedicated to this CMS, but there’s no direct email to call for help. Wix provides direct help and runs an extensive knowledge base. The website builder lets you get in touch with the customer support team via email. There is also an opportunity to use the hints the system offers on any stage of the web design process, watch helpful videos as well as browse tutorials and manuals. Wix. Wix is a freemium site builder. You can create and publish an ad-supported website with a free account and it will remain so until you decide to upgrade your site. For those clients, who wish to use the advanced features of the website builder, the system offers an opportunity to upgrade to one of the paid subscriptions. The plans include Connect Domain ($4.50/mo), Combo ($8.50/mo), Unlimited ($12.50/mo), eCommerce ($16.50/mo) and VIP ($24.50/mo). These are discounted if you choose to pay annually. Wix frequently offers discounts, bonuses and special deals for first-time and regular users. It makes sense to sign up for the system newsletter to be informed about these events. WordPress. The CMS itself is free, but in order to get published you’ll need to purchase a domain name and a hosting plan. If you are going to use the system in future, then it makes sense to host your websites with the official WordPress hosting provider – Bluehost. The platform is affordable and feature-rich. It offers several plans, each providing multiple services and tools at reasonable cost. Thus, Bluehost Plans are as follows: Basic, Plus and Choice Plus. The cost of the plans starts with $3.95/mo and $5.95/mo. Additionally, you’ll need to invest into plugins and external templates, if you decide to install them. There are multiple nuances to be considered, when choosing between Wix and WordPress. Both website builders make it possible to launch and manage decent websites with advanced functionality and great design. However, they utilize different approaches to the website development process, which are explained by the nature and parameters of the systems. Wix is a popular all-in-one website builder, which comes with extensive web design tools, options, customization solutions, hundreds of beautiful templates, powerful Ascend and Turbo features, special offers for beginners and web design experts. The system is also known for its one-of-a-kind WIX ADI tool, which does not lag behind the standard website editor of the platform. WordPress is a contemporary and the most popular Content Management System, which boasts a powerful blogging platform and extensive integration options. The recently introduced Gutenberg Editor has unveiled lots of options to non-proficient users, simplifying the design customization process.